Up until now, I have traveled by Vietnam train from Hanoi to Sapa several times, so I am confident to say that I have gained some valuable experience regarding this subject. Today, I am happy to share with you what I have known, in order to help your preparation become shorter and more effective. First, it is a fact that traveling by Vietnam train from Hanoi to Sapa is much safer compared to reaching Sapa by car, bus or motorbike. However, there are 2 main drawbacks if you choose to train as your main means of transportation. Firstly, it takes a longer time than going by automobile. Because of a new highway from Hanoi to Laocai, the length of time from the capital to Sapa is only 3 hours and 45 minutes, while passengers spend from 6 to 8 hours on traveling by train. On top of that, the train station is in Laocai province. As a result, in order to reach Sapa, you need to take grab bike (taxi motorbike), bus, taxi or other means of transport to travel 30 to 40 km farther. The journey might need more transits and moving, which makes it more tiring. 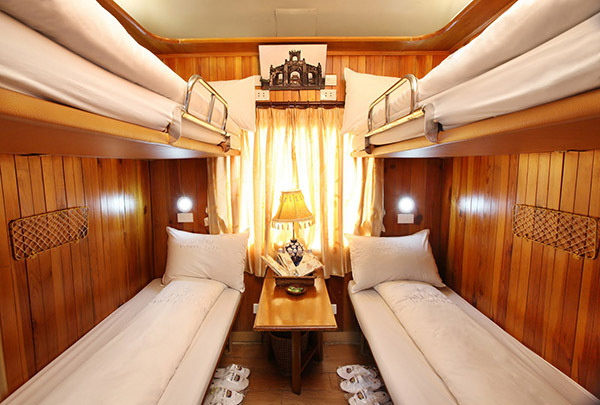 However, traveling by Vietnam train from Hanoi to Sapa still has many advantages, and the choice depends on you and your specific situations. Here are some tips for your trip by train to be more comfortable and convenient. If you go in a tourist season such as such as weekends, The solar new year, the 2nd of September (Independent day), just name a few; it is recommended that the tickets should be bought 1 month in advance. On normal days, you can book tickets around from 2 to 3 days in advance, which is still Ok. 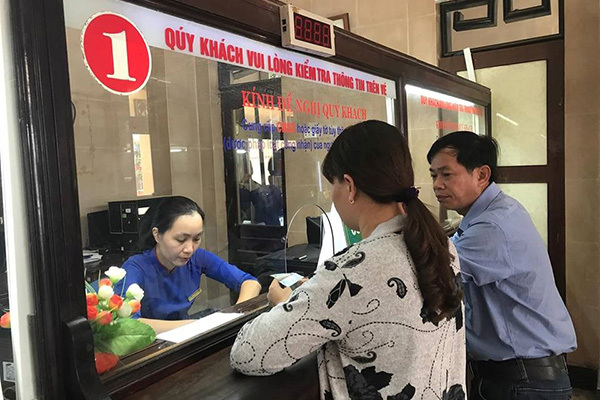 If you do not want to book through agents, you just need to go to Hanoi train station, Tran Quy Cap gate as it is the place where they sell all tickets traveling to Northern Provinces. Usually, even 7.00 or 8.00 pm, you go to the station, you still can purchase some hard seat and soft seat tickets. The soft berth tickets are often sold out. Truthfully speaking, going to Sapa on a hard seat, or even soft seat is very exhausting. You almost can’t sleep, your legs will be in pain as you can’t stretch them comfortably. You also have to hire a blanket (around 30 thousand VND) to be less cold. So in short, in my opinion, to reach Sapa, the soft berth is the best option. The price ranges are different for different types of berths and different sorts of cabins. If your berth is in a cabin with 6 berths, my advice is to buy the lowest one. Though it might be slightly more expensive, you will feel much more comfortable. I bought the highest one once, and swear that I will never purchase it one more time because the room is too small and stuffy. If your trip is not on a budget, you might consider luxurious train service. For more information, you can check other article named “Vietnam train from Hanoi to Sapa”, which has already mentioned this topic. 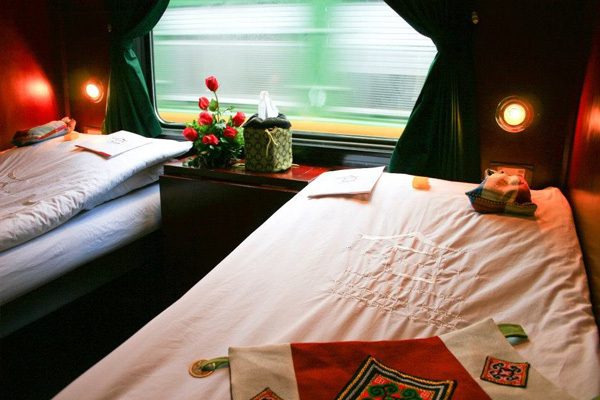 We would like to introduce some common train types from Hanoi to Sapa. The decision about which train you should get on will be yours. Fast trains include from SP1 to SP8. This is the fastest train from Hanoi to Sapa, with the fewest train stops. Departing from Hanoi at 09:10 pm and arriving at Laocai at around 5:25 am. The price does not include food cost for SP1 and SP2. The specific price will depend on the type of berth or seat you choose and which day you go, so please check with the train ticket box office at the train station or its official website. Usually, the LC4 is the lowest one. In peak period, there are some addition trains named LC5 to LC 10. Their price and speed will be updated by the train station. Food in trains such as instant noodle and porridge. You can bring your own food to make sure that you eat well. There is a separate toilet in each carriage. When the train stops, the toilet will be automatically closed, you can go toilet in the train station. You can move freely on a train, as long as you do not interfere other passengers. You should bring along some warm clothes as it might be slightly colder in Sapa compared to Hanoi. Express and Chapa Express Train. They have provided basic amenities like the ones in Victoria such as reading light, mineral water, electricity socket. Their prices are quite similar. The prices are also double for VIP 2 berths in both kinds of train services. 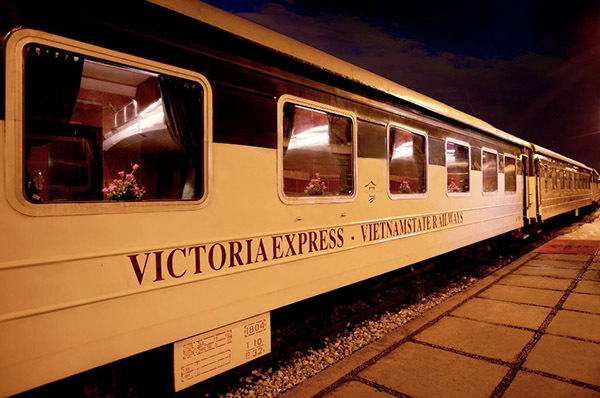 Train Oriental Express: Departure from Hanoi at 9.35 pm and arrive at Laocai at 5:35 am. 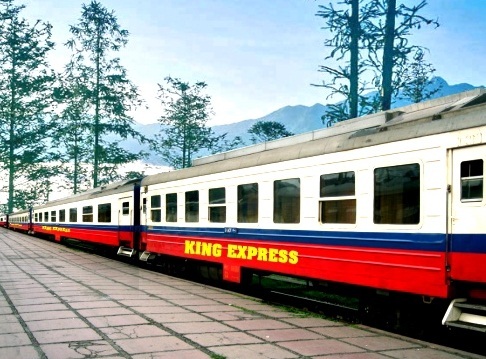 Chapa Express Train: Departure from Hanoi at 10:00 pm and arrive at Laocai at 6: 05 am. In addition, because the arriving time is quite early, I suggest that you should book the hotel in advance and ask them to drive you to their hotels. In this case, you can share your cost with other visitors who stay in the same hotel as yours. Traveling to Sapa by train might add more colors in your trip, as you can have a chance to peacefully enjoy the mountainous scenery outside. That is what I like most about traveling by train. Imagine that you are sitting in your seat or berth, sipping your cup of tea or coffee and enjoying your favorite book, is it a wonderful moment to have. Once again, we wish you a great time in Sapa specifically and in Vietnam generally. We hope that this article might be helpful in some ways. If you wonder what to do, where to go and what to visit in Sapa, there are also other articles mentioning these topics on our website. Anyway, wherever you go, I bet that you and your traveling buddy will have a whale of a time and create unforgettable memories together. Again, we wish you have a wonderful year, filled with wonderful trips by meeting wonderful people and traveling to wonderful places. Thanks for reading.